The Edge provides a very secure reliable wireless transport in harsh military and government conditions. This durable wireless terminal (IP67) can operate in extreme temperature ranges and environmental conditions. The non-integrated form factor makes it flexible to be used with several different antenna options for nomadic, long range, and higher power deployments. The Edge is powered via a standard 802.3at PoE connection to the 10/100Mbps Ethernet interface. The Edge is available in several license and unlicensed frequency bands, 470 to 698MHz (Whitespace), Lower 2.1GHz (2.025 to 2.110GHz), Upper 2.1GHz (2.200 to 2.290GHz), 2.3GHz, 2.4GHz, 2.5GHz, 3.3 to 3.8GHz, 4.9, 5.1 to 5.85GHz. Whitespace band operates with Spectrum Bridge cloud service and provides best in class low latency high speed NLOS connections. The lower and upper 2.1GHz bands are ideal for high secure military and government deployments. 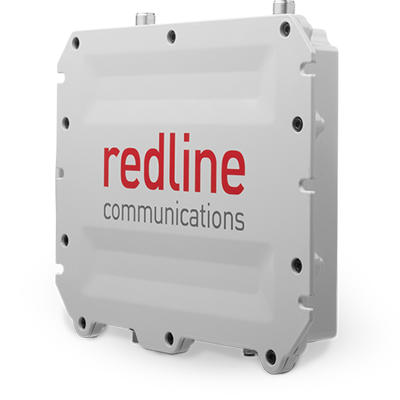 The high processing power >280,000 pps makes this radio ideal for uplink centric type applications like SCADA (serial or IP) and video surveillance plus providing solid data and VoIP connections. The high packet per second capability maintains high capacity links regardless of packet size. The supported software selectable channel sizes are 6MHz for Whitespace, 0.875/1.25/2.5/3.5/5/7/10/12/14/20MHz. The availability of channel size is restricted by regional regulations or product options. The FIPS-140-2 certification makes a perfect choice for high secure military and government wireless connections.